Coming from Nolimit City, it’s a cute-looking mix of wild creatures that you’re seeing inside, along with a setup which can have a lot of ways to win active. Ice Ice Yeti is one of the games coming from Nolimit City, and it’s a good introduction for this developer. Not only are the graphics very cute, with baby versions for various wild creatures appearing on the reels, but the layout is also fairly unique. You’re seeing a game area which 5 reels, but they’re 7 symbols tall when they’re all unlocked. Normally though, you get 5×3 reels unlocked and the others are frozen for starters. The symbols you’re going to notice will have the Royals in ice, along with the Ice Yeti, baby polar bears, wolves, foxes and leopards. They’re all very cute, and the graphics benefit a lot from their presence in the game. While the regular game area will have 5 reels with 3 unfrozen symbols on each one, sporting a total of 243 ways to win, additional symbols can be unlocked at random, and the ways to win could potentially go up to 16,807. You get Yeti Shakes, Ice Ice Respins and Yeti Wilds for the major features, and they seem to work, as the RTP appears to be reaching 96.16%. Payout wise, each way to win can deliver a win of 25x the stake, so there is some major potential there, if you take into account the number of ways to win available. Your betting range varies between $0.10 and $100, and that’s the only option that you need to worry about changing. First of all, the Yeti Shake could happen at any moment as you play the main game. It’s a random feature which will break the ice from 2 to 10 covered positions, turning them into extra symbols and giving you extra ways to win. 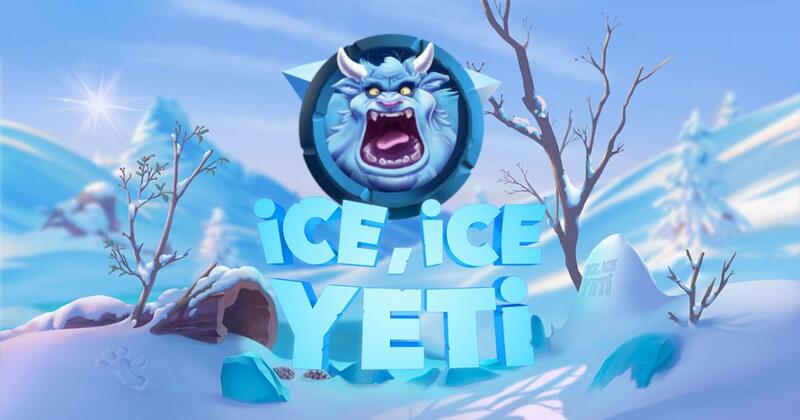 The Yeti Wild is going to be a major symbol in the game, and while there are no prizes given by it directly, it will act as a replacement and it will also trigger Ice Ice Respins. The Yeti Wild breaks 2-3 ice blocks and increases the game area. The respins continue for as long as you get extra symbols for winning combinations or more wilds. Ice Ice Yeti has a lot of potential, as it has the right RTP, cool graphics and some unique features, making it fun for anyone to play. Try of out a demo version of Ice Ice Yeti.